Udo Jung was born in 1966. He holds a degree in mechanical engineering from Kassel University, Germany, and started his professional career in 1990 in the R&D department of Babcock-BSH AG. During the following five years he held various positions in the field of clean room components and systems. In 1997, Udo Jung joined the fan division of TLT-Turbo-Lufttechnik – now TROX TLT GmbH, Bad Hersfeld, Germany – where he has been chairman of the Board of Management for the past few years. As a Managing Director of TROX TLT, he is responsible for product development, production, domestic and international sales, and marketing. Since 2013 he has also been Head of Product Management – Safety – of TROX GmbH in Neukirchen-Vluyn, and since 2014 he has been Managing Director of BSH TECHNIK Polska Sp. z.o.o. 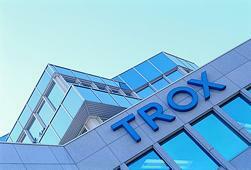 Udo Jung was appointed member of the Board of Management of TROX GmbH as of 14 September 2015. He is responsible for product management, production, sales, and research and development.